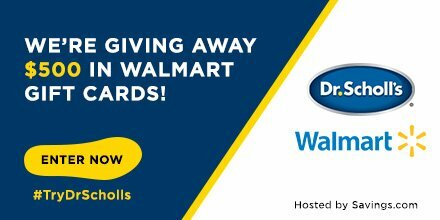 We're offering $500 in Walmart gift cards in a giveaway in support of the Dr. Scholl's coupon being offered for redemption at Walmart. Ten winners each get a $50 gift card. Be sure to enter through 8/27. US residents only. Good luck.